CRUISIN AUTOMOTIVE is the only authorised Australian dealer for Wheel Vintiques. We ship Australia wide, supply and install. Since 1986, Wheel Vintiques has been manufacturing steel wheels for restored classics, muscle cars and hot rods. All manufacturing processes are handled in house, at our facility in City of Industry, California. The new Fiat 500 Smoothie ↓ is an extension of our NuRodder series, and features direct fitment for Fiat 500 models. The Fiat 500 Smoothie wheels feature a 4×100 bolt pattern, and 15×6 sizing with 4.125 inches of backspacing. This provides an exact fit, while the custom powder coat finish takes your retro-styled Fiat 500 to the next level. Included with each wheel is a Baby Moon center cap. These fiat 500 wheels are proudly made in the USA! NOTE: Trim Ring not included, Baby Moon Cap #1009 is included with each wheel. The 68 Series Chevy Style Rallye ↓ wheel offers the classic Chevrolet Rallye design in larger 16-18″ sizes. Brilliant show chrome 18 inch rallye wheels are a unique way to get larger wheels and tires on your collector Chevy and still keep the original theme of the car intact. 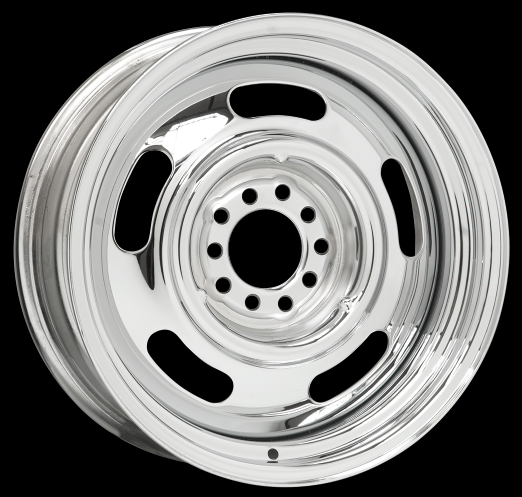 68 Series wheels accept factory caps, offer custom backspace options and are available in several popular 5 or 6 lug bolt patterns. Proudly Made in the USA! The 24 Series ↓ wheel gives 1967-68 Mercury Cougar models a premium OE style wheel fitment. The 24 Series features a brilliant show chrome finish with light silver painted windows. Different color windows are available on request for additional cost. 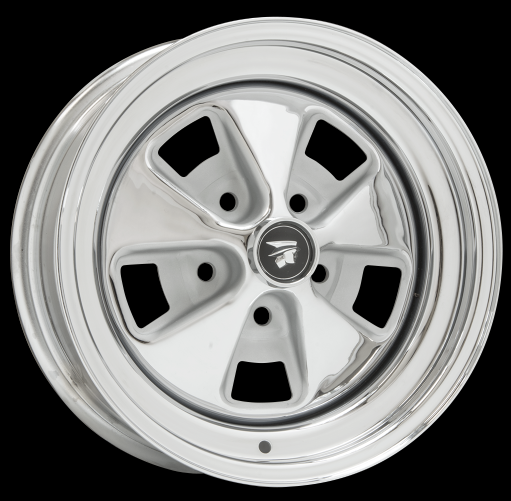 The original 1967 Mercury Cougar wheels are getting much harder to find and more costly, so these premium reproductions are a great choice for your restored or modified Cougar. 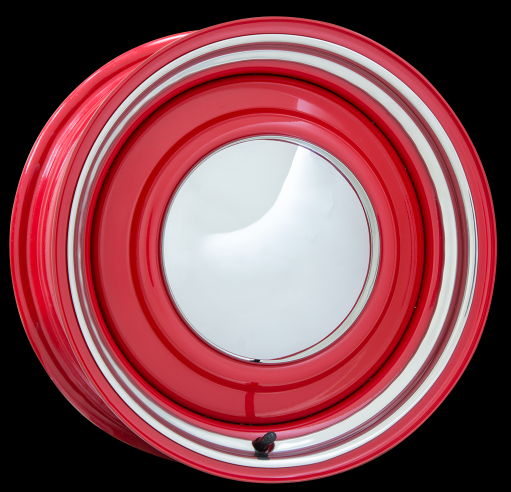 Wheel Vintiques offers these wheels, proudly Made in the USA! The 80 Series Ford|Chevy Wire ↓ features a strong 56 spoke design in brilliant show chrome finish. 80 Series wheels have Multi-lug 10 hole bolt pattern with 5×4.5″ & 5×4.75″ patterns for many popular applications. 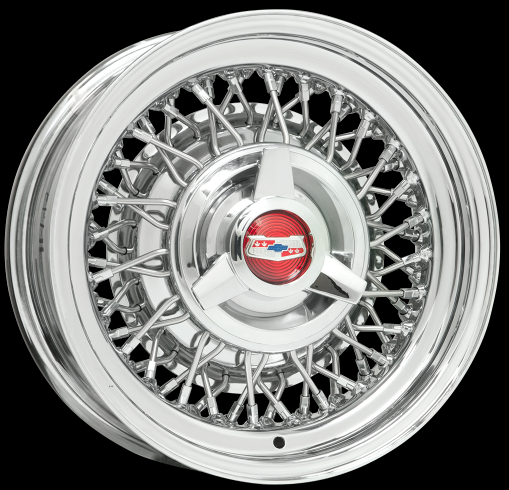 This is an excellent wheel for hot rods and classics where the classic wire wheel look is preferred. Ford|Chevrolet Wire Wheels use 6″ cap fitments including optional #1038-CHEV & #1038-FORD caps. Proudly Made in the USA! 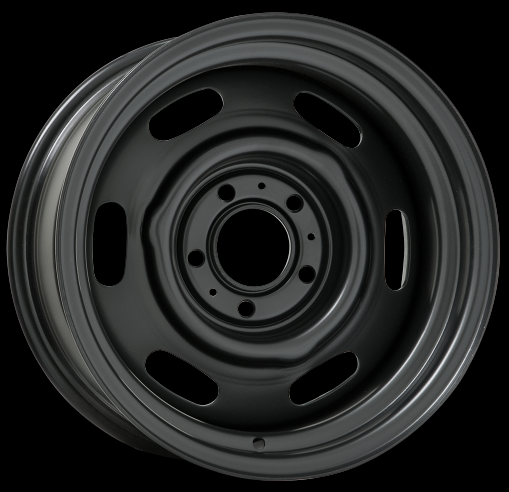 The 69 Series Chrysler Police ↓ wheel features a durable satin black powder coat finish. These popular wheels have been the all-purpose “rally wheel” for Mopar guys since the seventies. Since then, police wheels earned a reputation for being strong, simple and large enough to wrap plenty of rubber around. That versatility and strength continue in the 69 Series from Wheel Vintiques. Chrysler Police Wheels are available in 15″ size with several widths from 6-10″ fitments for popular Mopar bolt patterns. Finish off the sleeper look with a set of our Part #2025 OEM style Mopar caps commonly known as “Poverty caps”. Proudly Made in the USA!